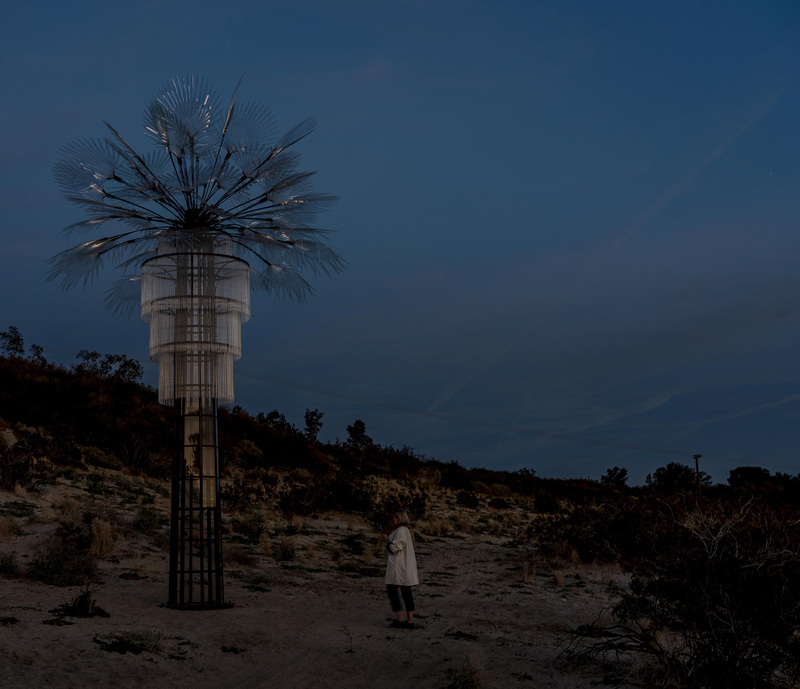 Over 200,000 people ventured to Palm Springs to see the inaugural Desert X art event in 2017 – a biennial that surprised the world with its mirage-like installations that seemed to appear overnight. 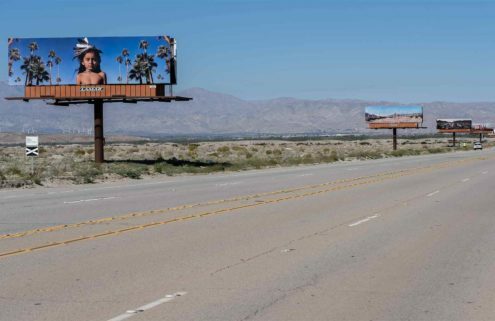 The free public art festival is back for its second outing, with 19 pieces dotted around the Coachella Valley. Artworks are discoverable by an app and this year’s digital treasure map stretches 55 miles, as far out as the Salton Sea and even across the Mexican border. Here are our favourites. 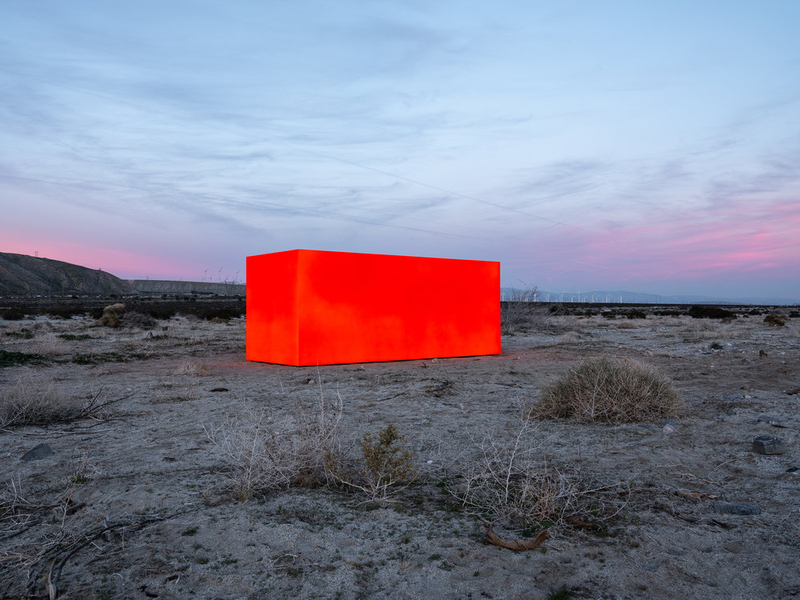 Inspired by strange and unidentified objects that often appear in the desert, this acid orange monolith attracts drivers with its orb-like glow. 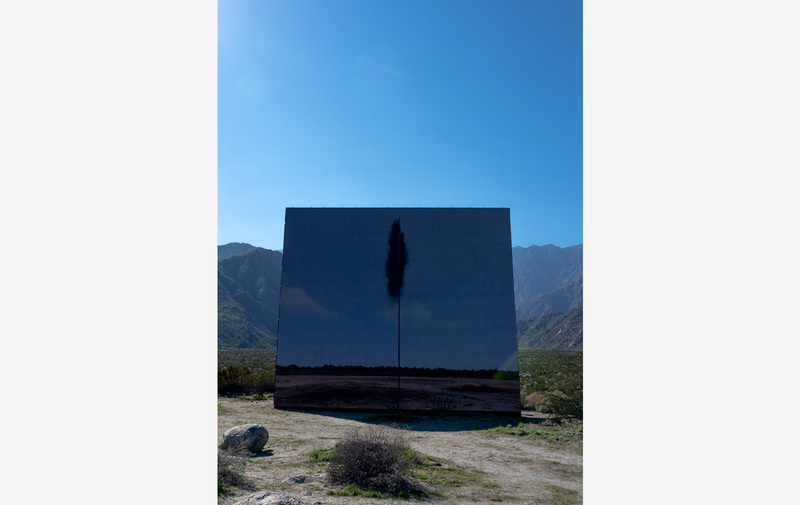 ‘Specter’ is made with powder-coated aluminium and silhouettes of the mountains and the sky reflect in its shiny surface, appearing silver on one side when the sun hits it. 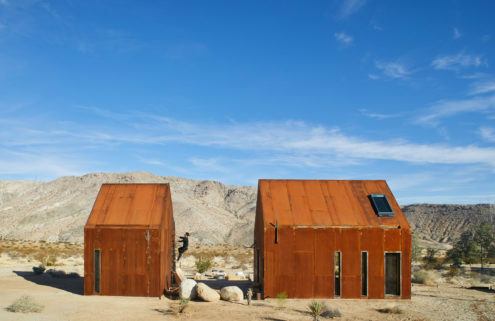 The cuboid is bedded into the desert sand and acts as a symbol of artificial versus nature. 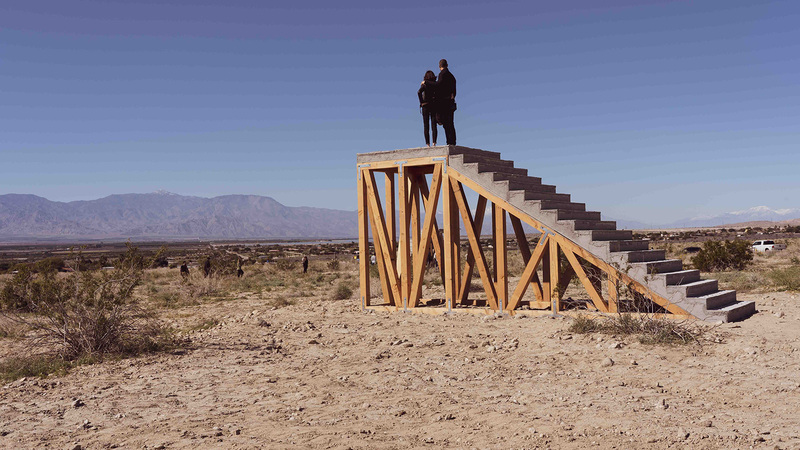 These five staircases mark the largest commission for a Latin American artist ever in the area. The concrete and douglas fir staircases combine elements of pre-Columbian and Brutalist architecture and are embossed with Argote’s own poetry in Spanish and English. Each offers panoramic views of the Salton Sea and activates this barren stretch of land in the often forgotten East Valley. 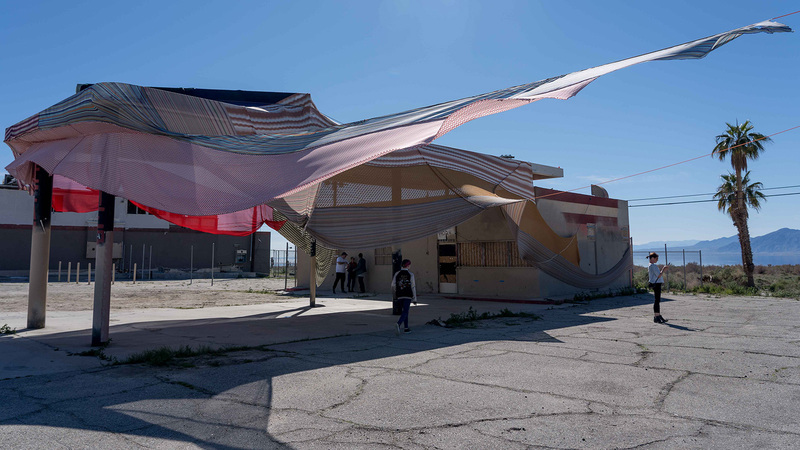 This dilapidated gas station is a symbol of 1950s Americana that has been draped in 2,300 ft of donated Missoni patchworks to be given new life, mixing form and fashion. The fabric is liberated as it ripples in the wind, acting as a sheath and creating a hooded passageway that flickers under California’s brilliant sunlight. 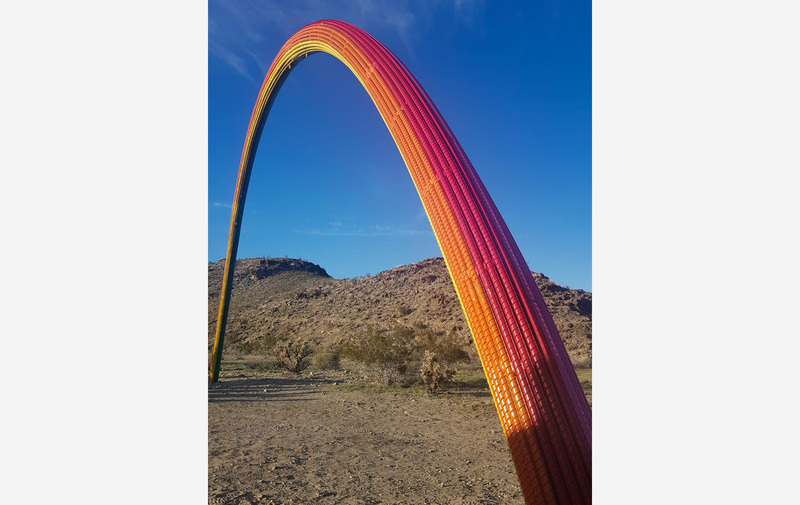 Mexican artist Pia Camil’s installation ‘Lover’s Rainbow’ comprises an identical set of arches, the second of which can be found in Baja. They are constructed from painted rebar, with the rainbows representing regrowth. 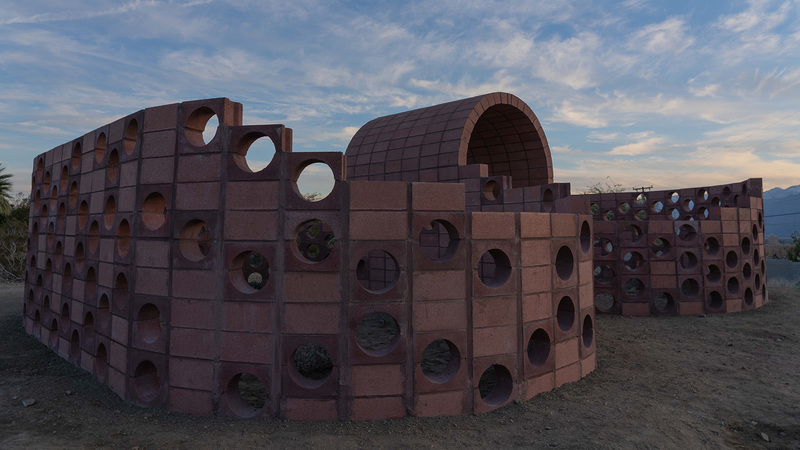 Firmly planted into dry, desert land they are a symbol of hope and unity in tumultuous political times, and the artwork highlights the notion of borders with visitors encouraged to cross into Mexico to experience the pair as a whole. This midcentury modern-inspired palm tree mimics natural form with artificial materials, such as steel, glass and a plastic fringe, which creates a chime effect in the desert breeze. Standing at 20 feet tall, the trunk has been built as a greenhouse and glimmers like a crystal as the sun sets – an apparition best seen at dusk. A figure-of-eight shape, this Möbius strip curves with one continuous side, found hidden in a residential area. 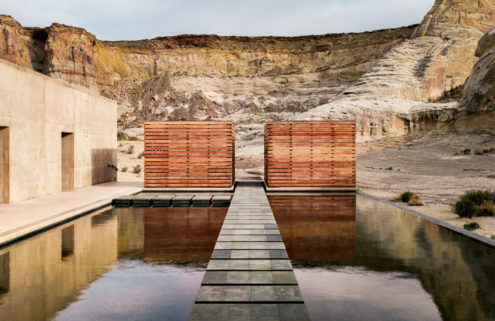 Terracotta pinks and desert browns camouflage this breeze block pavilion, which represents a study of human consciousness; what is inside and outside the self. This large scale installation screens live footage from the first oil well in Texas. Filmed at walking pace, circling around the oil well, a simulated, ethereal black smoke is added, fluttering vertically from a virtual world. 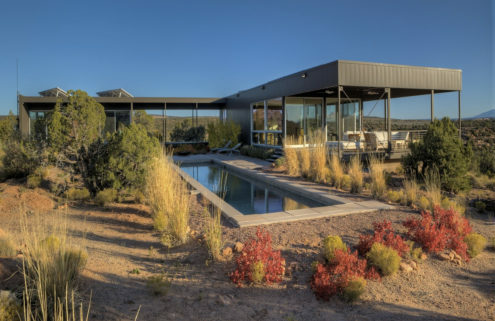 The grey plywood box is entirely hollow with an open roof, its angularity contrasting the curves of the valley behind.